Science teaches that the first modern humans originated in East Africa and spread from there to the rest of the world. Their modern representatives are the Khoisan peoples of Southern and East Africa. The Bible teaches that humans originated in the Garden of Eden and spread from there to the rest of the world. These were the people of Adam. It is almost universally assumed that, in terms of location of origins and the people identified, these versions are in conflict. For the first time a book challenges this assumption by referring to the relevant verses of Genesis which give the names of the lands just outside Eden and the rivers flowing through them. The Table of the Nations in Genesis is then called upon to confirm the location of these lands, two of which are in the neighbourhood of Cush in East Africa. It also shows how the term Adam actually describes the complexion of the Khoisan. There are little known books in Judaism which describe an East African Eden. Two of them are the books of Jubilees and Enoch. Muller shows how these books locate Eden in the same place the Egyptians located Punt. This study also shows that the Hebrew God Yahweh was thought to be from East Africa in the same way Amun was thought to be from Punt. The Temple of Yahweh in Jerusalem was intended to recreate Ethiopia in an enclosed environment away from home just as Hatshepsut did for Amun. 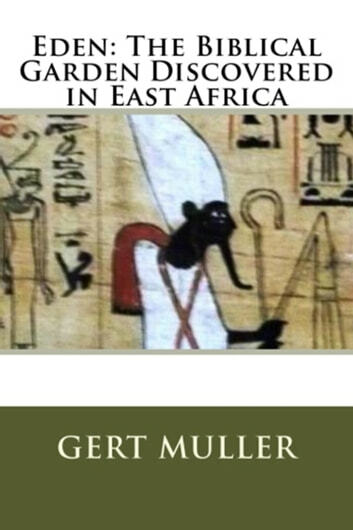 The book concludes that temples were originally built as macrocosms of Ethiopia, the sacred land. Many of us have heard of sacred geometry but how many know that East Africa is the heart of this system of sacred places? This book explores the very nature of sacredness and how it is a plausible explanation for the miracles in the Old Testament. It also concludes that the Biblical Flood and Ark Landing took place in East Africa.